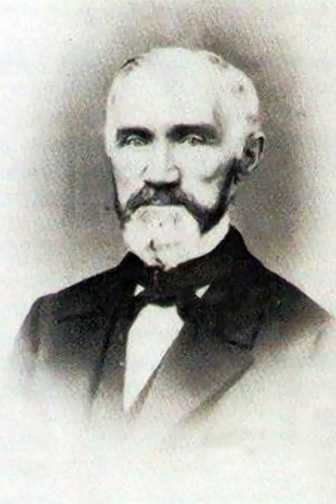 Peder Sather, a farmer’s son from Norway, emigrated to New York City in 1832. There he started up as a servant and lottery ticket seller before opening an exchange brokerage, later to become a full-fledged banking house. When gold was discovered in California, banker Francis Drexel offered Peder Sather and his companion, Edward Church, a large loan to establish a bank in San Francisco. From 1863 Peder Sather went on as the sole owner of the bank and in the late 1860’s he had become one of California’s richest men. Peder Sather was a public-spirited man, a philanthropist and an eager supporter of public education on all levels and for both sexes. In 1860 he was elected member of the Board of Trustees of The College of California in Oakland. This board worked to establish the first university in California, today’s University of California, Berkeley. Thus, he became one of the founding fathers of this institution. Being deeply engaged in equal rights of blacks in the U.S., Peder Sather also supported an end to slavery, and helped secure housing, work and education for freed slaves after the Civil War. Today Peder Sather’s name is memorialized by the Sather Gate and the Sather Tower at the UC Berkeley campus.